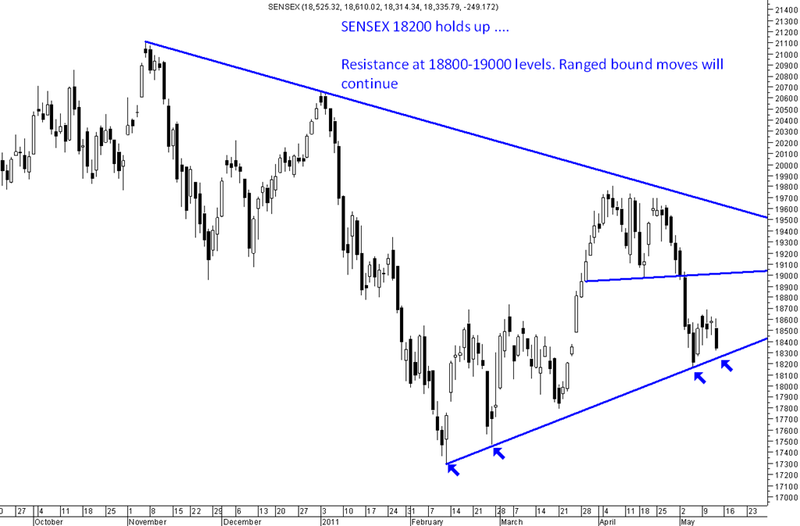 Sensex reverses from the lows … No impact of Elections range of 18200-19000 broadly. 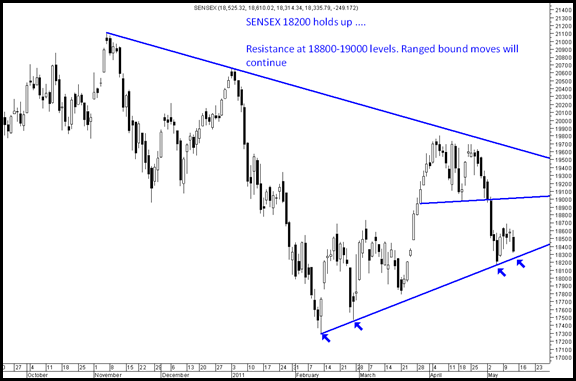 In todays trade yet again Sensex has bounced back from the lows closer to 18200. - > The gap at 18200 is filled and market is still closing above the 18200 levels. - > 18200 is closer to 61.8% correction level of the move from 17300 to 19800. - > The short term trendline continues to provide support to the markets. - > Till market holds above 18200 the bounce back to 19000 levels remains open. - > If market breaks below 18200 may drop to 17500-17800. 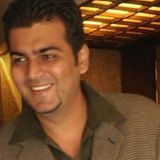 - > If bought on dips to 18200 keep a stoploss of 18200 closing basis to book at 18800-19000 levels in bounce. For now its time to be stock specific.